The reason why the Billy wants to say hello to me at 5 AM instead of Katherine is because Emily is on guard. That corner of the bed is nearest to the bedroom and litterbox closet doors, so it lets her keep an eye on things, like roaming kittens. Emily stays within three feet of that corner of her bed 16 hours a day or more. 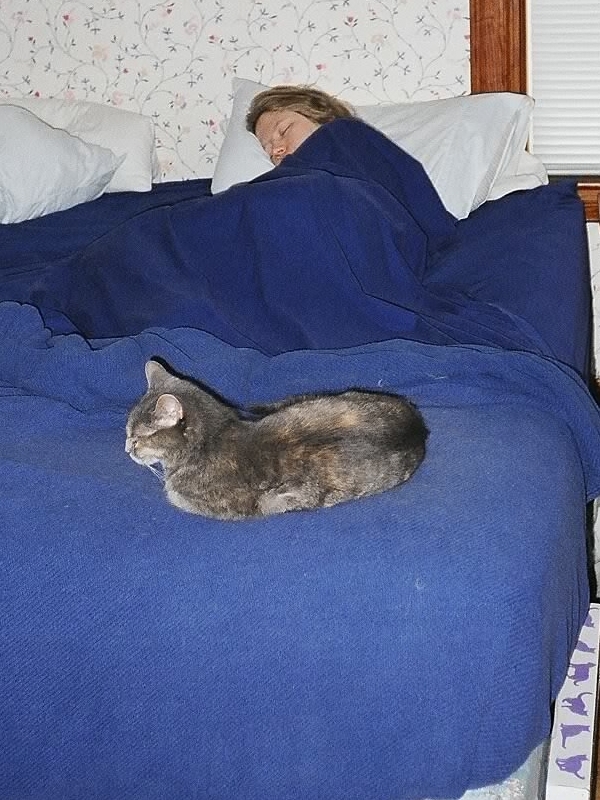 Whereas the boys may sleep in any of three condos or other places like desks or office futons, she tends to only venture out from the bedroom for a an hour or two at most a day.